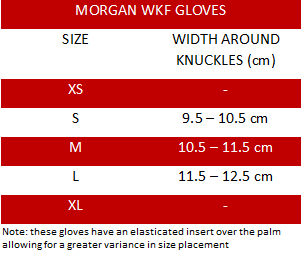 The Morgan Dlx fist protectors are perfect for striking, self-defence, and grappling training. With close to 4cm of hand padding and additional thumb padding ensures that they are going to your student's hands safe. These gloves feature a vinyl construction with an open finger design, and elasticated finger inserts giving you more control and hand flexibility. They feature an easy to use a hook and loop closure for an easy self-adjustment during your sparring and training sessions.